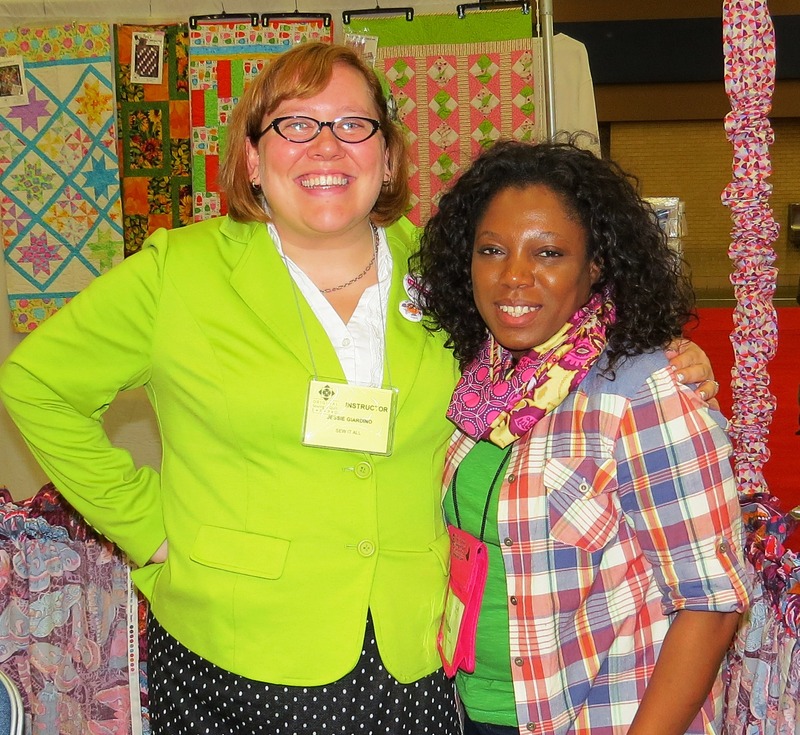 Expo – Sewing Expo, Say What? I was at an ASG Meeting when I first heard about sewing expos, and I was intrigued. The ladies had just returned from the ASG annual conference. (I am hoping I can attend next year. Fingers crossed, savings account growing.) A coliseum filled with vendors, fabrics, tools, and teachers. Each woman had her own experience and returned with new information, new techniques and/or amazing fabrics. Some of them took classes, while others spent most of their time shopping with vendors. No matter what their experience was … each of them came away with something that made them a better person/sewer in the end. With that, I knew I needed to get an expo on my calendar soon. I didn’t have to look long or far for the next expo. Before our meeting ended that night the ladies had me all lined up for the Original Sewing and Quilt Expo in Ft Worth, TX. The expo offered several areas I NEEDED as someone new to sewing. I’ll break each of these down as I describe my experience as a first timer at the Expo. But, here’s the nitty. Would I go again? Absolutely! Was it worth utilizing vacation days. Heck Yeah! Was it worth the money. I’ll spend more next time! (Ha!) Over the next few weeks I will highlight the benefits of attending a sewing expo and how they are worth the time and financial investment. One thing I love about an organization like ASG is how they provide the ability to expand your personal sewing network. And there is nothing better than having the resources and people you need when you’re attempting to learn something new. Could I sit in my townhouse and learn everything I need to sew? Probably. It would, in my estimation, be a lot harder and take longer. If I’ve learned anything over the last few months, it’s that my AGS ladies are off the hook with providing me all of the information and resources I need to get better. It was awesome walking around the expo running into my ASG friends and asking them questions about patterns, fabrics, and classes. They were immensely helpful when it came to making my purchases and guiding me to taking the “right classes”. What makes the expo an even better experience is the new people you meet along the way. Whether they are a vendor, fellow blogger or an experienced sewer … I was able to expand network of people that I know, and now I’ll be even better for it. For example, I had the pleasure of meeting Jessica Giardino and Beth Bradley of “Sew News” Magazine. We met in the Make It Center where Expo attendees could make quick projects without a pattern. Me & and Jessica Giardino of Sew News. I made that infinity scarf in the Make It Center. Yay Me! While in the Sew It Up booth I met a pattern designer. Now it may be a common occurance for you seasoned sewers, but I was super excited to meet Kay Whitt of Sew Serendipity. (The first pattern designer I’ve ever met … I hope she isn’t my last!) Since I’m leaning more toward indie pattern companies it was great to meet the designer. Not only could I see her designs on a real woman’s body on the fashion show, I could ply her with every question that popped into my brain! Kay Whitt is impressive. I purchased three of her patterns and one of her beautiful hardcover books. 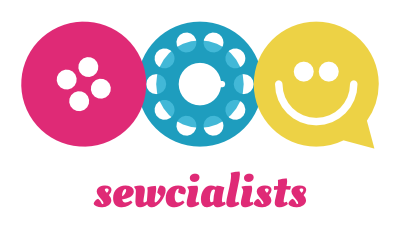 Several of my ASG friends have made Sew Serendipity designs and they love them. I know I’m going to love them too! These are just a few of the fabulous women I met during the expo. I met more, of course. During classes … lunch breaks … in the quilt gallery. Everyone I met was wonderful … willing to share information … provide insight … and share their experiences. 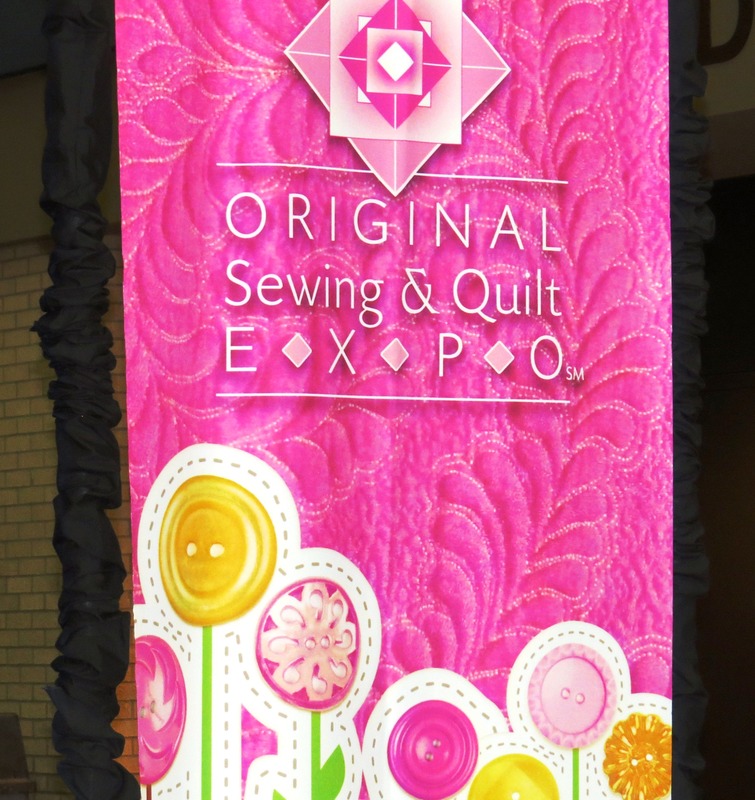 Sewing is such a rich experience in and of itself, but when you add events like the expo … it just gets better. So here’s the deal … I couldn’t by any stretch of the imagination get my full experience in one blog post. Well, I could, but then you’d get bored and stop reading. So, in my next expo post I’ll cover Benefit #2 those AMAZING classes I took at the expo. I’ll follow that up with Benefit #3 – cool purchases. I’ll catch you on the flip side.